The testing and college admissions professionals at Frontier Tutoring have a long history of partnering with Anchorage high school counselors to empower students with expert guidance. Learn more about our free resources for counselors. "They are compassionate. I feel like Frontier actually cares about Alaskan students versus turning a profit." 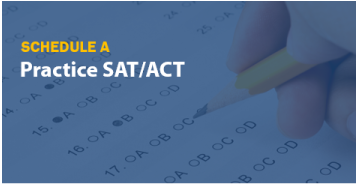 Learn how to schedule free practice SAT & ACT testing at your school. 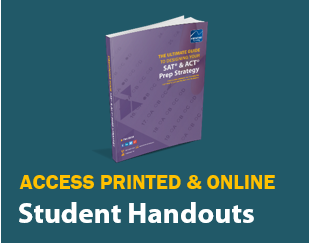 We provide free, individualized guidance to help students understand which test to focus on and how their scores stack up against their goals. 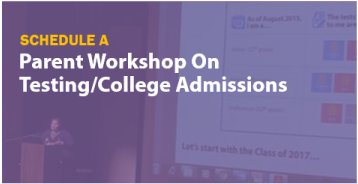 Learn more about Frontier Tutoring's parent- and counselor-acclaimed SAT/ACT and college admissions workshops delivered by our subject matter experts. 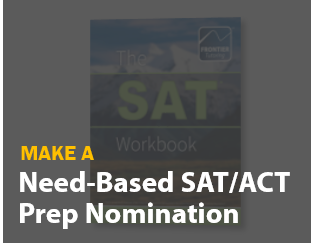 Access our Testing & College Admissions Resource Library to download our free testing and college admissions publications, such as The Ultimate Guide to Designing Your SAT & ACT Prep Strategy. Share links in your newsletter. You can also order printed copies of The Ultimate Guide. 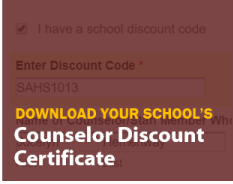 Download your school's Counselor Discount Certificate. Certificates issued by counselors entitle your students to a $40 discount on any of our paid academic tutoring, SAT/ACT prep, or college admissions consulting programs. Frontier Tutoring offers space-available seats in our SAT/ACT Prep Classes for motivated students without the ability to pay. We invite every ASD comprehensive high school counseling department to nominate up to two students per semester for the need-based award. Counselors can contact Calvin Schrage, Executive Director, at 907-268-4233, Ext. 407 or cschrage@frontiertutoring.com.